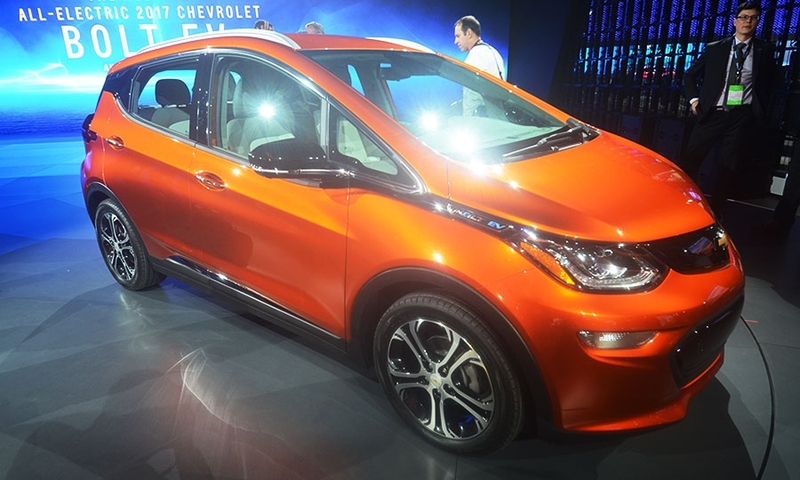 LAS VEGAS -- Chevrolet is presenting the 2017 Bolt EV to the tech cognoscenti at the Consumer Electronics Show here as a technological showcase designed for a ride-sharing future. 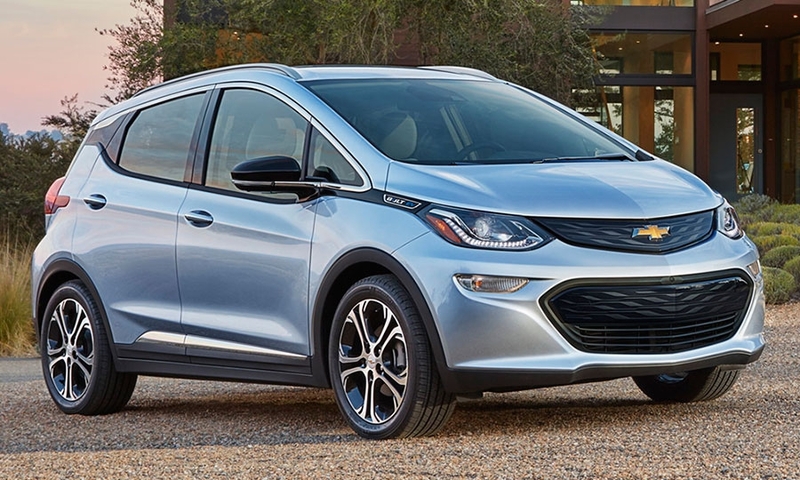 Key elements of the Bolt have been known since General Motors showed a concept one year ago: around 200 miles of range for less than $30,000 after federal tax credits, set to go into production by year end. 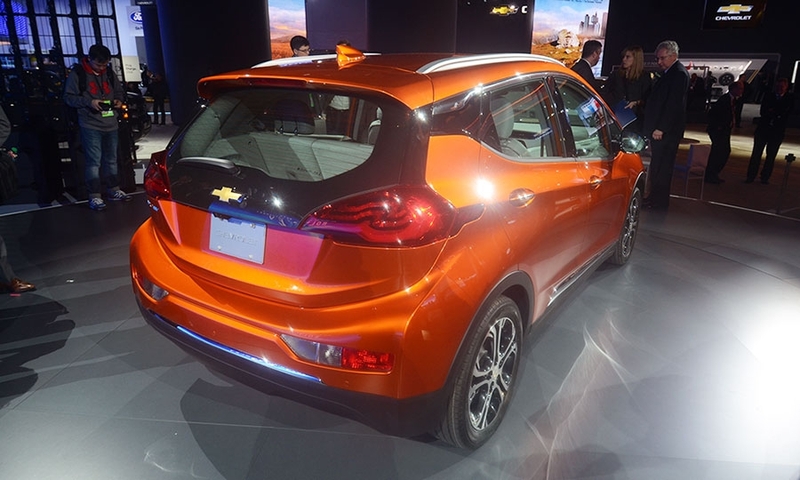 GM CEO Mary Barra on Wednesday lifted the veil on the production Bolt, which features connectivity galore and an airy interior that belies its modest size (slightly smaller than a Chevy Trax). 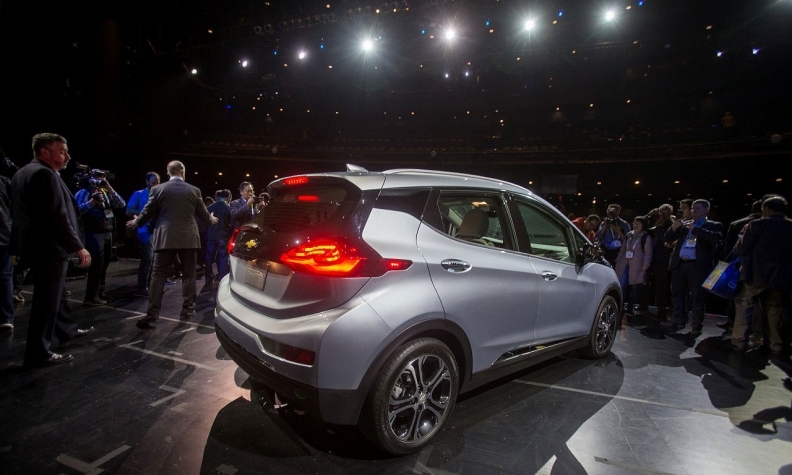 The introduction at CES comes just days after GM announced an alliance with the networked taxi service Lyft that includes the creation of a fleet of shared GM vehicles available for Lyft drivers to rent. 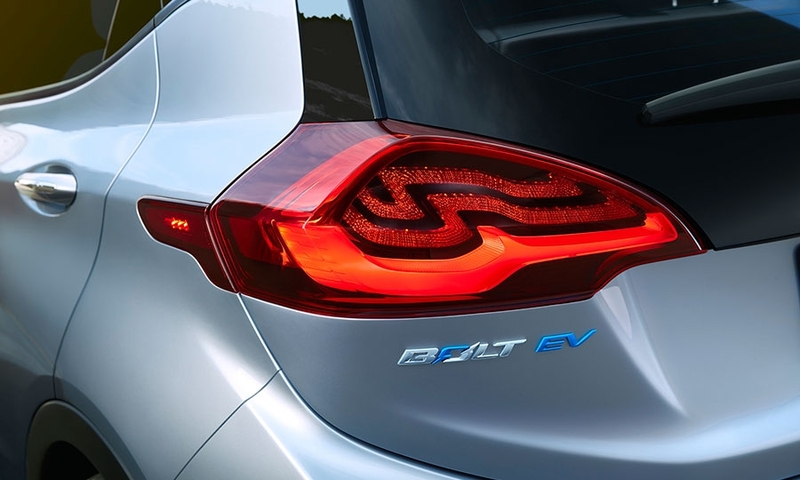 And several features of the Bolt were designed to allow for easier car sharing, with an eye toward the shifting future of personal mobility. 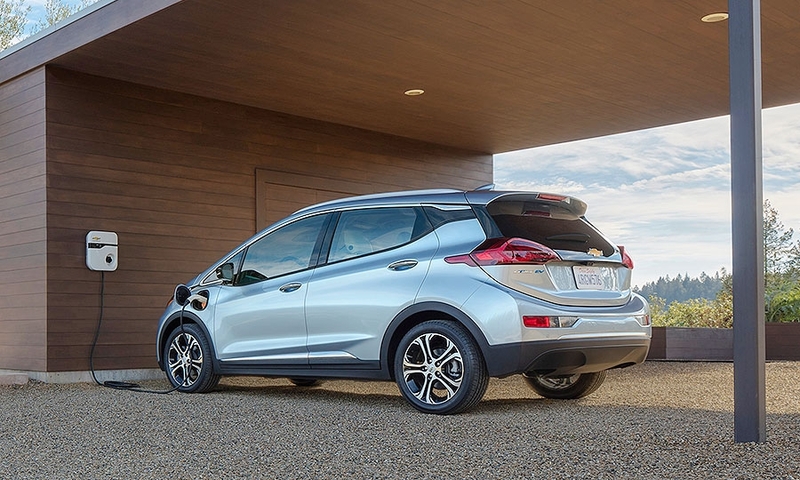 For example, the Bolt comes with a low-energy Bluetooth system that can detect an approaching driver’s smartphone, unlocking the doors and setting the infotainment system and other features for that user. 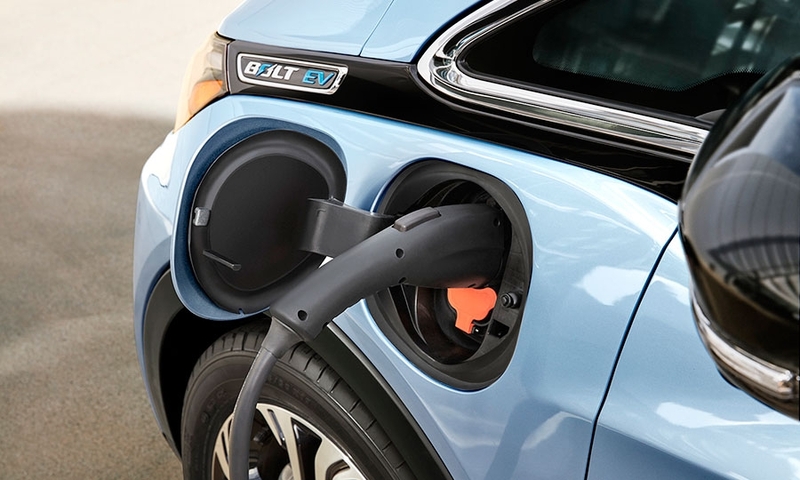 “The Bolt EV is capable of using the latest mobile app technology to enable car sharing, advanced GPS routing ... all designed to enhance the ownership experience now and into the future,” Barra said in a prepared statement. 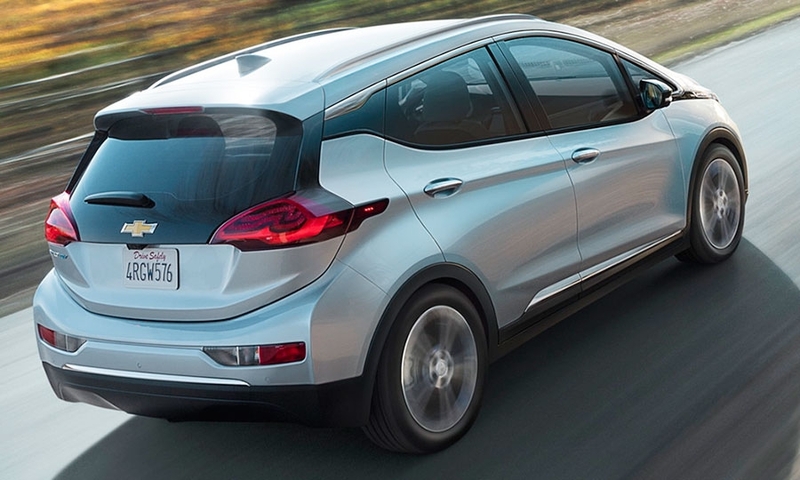 The Bolt’s battery pack is flat and mounted beneath the floor, freeing up interior space. 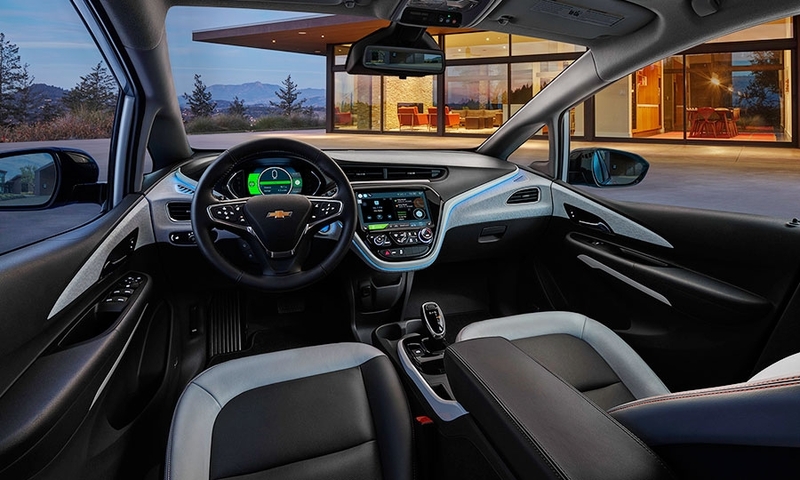 GM designed the interior to maximize the ease of entry and exit via a low floor and slimmed-down seats that it developed in-house. 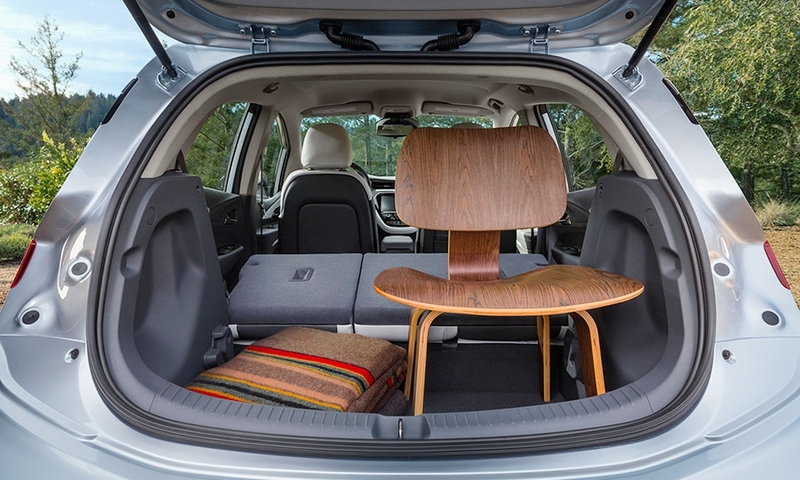 The materials have a refined feel but were made to withstand the additional wear and tear that might come from shared use, lead designer Stuart Norris said. “The way we’ve used materials, the use of space and functionality, the ease of ingress and egress are all physical attributes that enhance sharing,” Norris said. 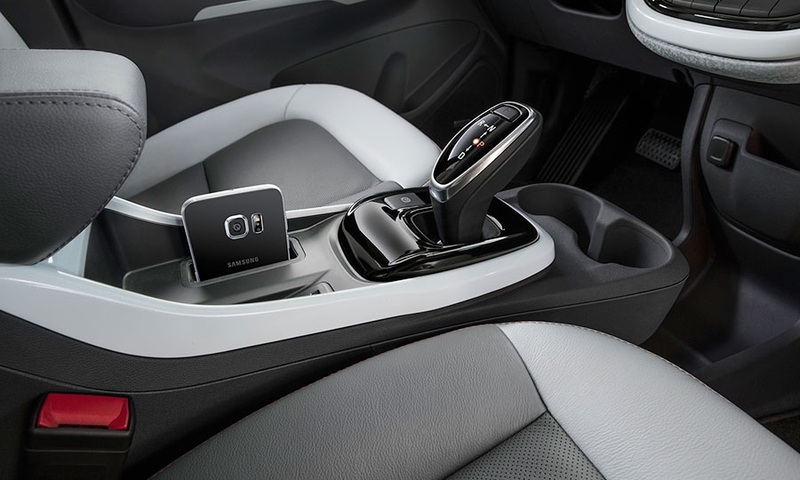 The interior includes features not found at the price, including a 10.2-inch color touch screen in the center stack. 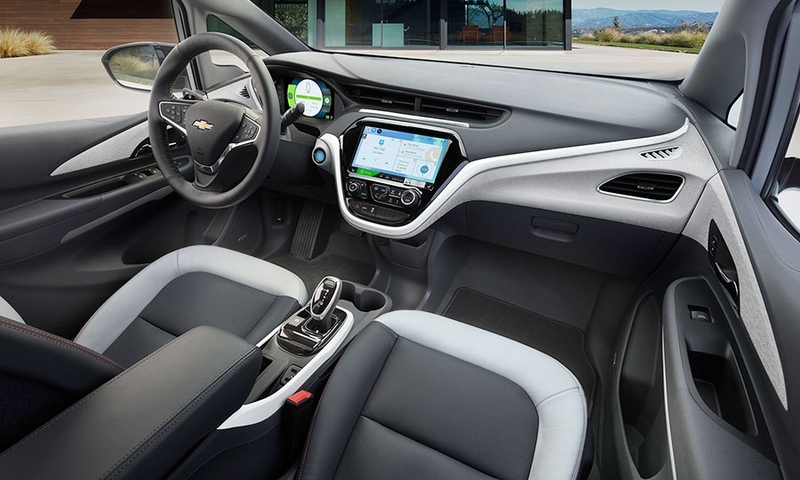 It has a redesigned Chevrolet MyLink infotainment system that is customizable, allowing the users to set icon locations to their liking. 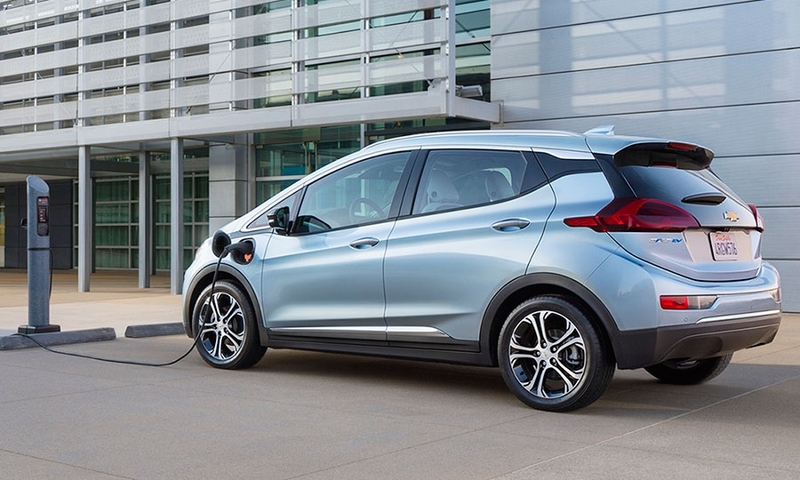 The navigation system can show routes that maximize the vehicle’s electric range and locations of nearby charging stations. 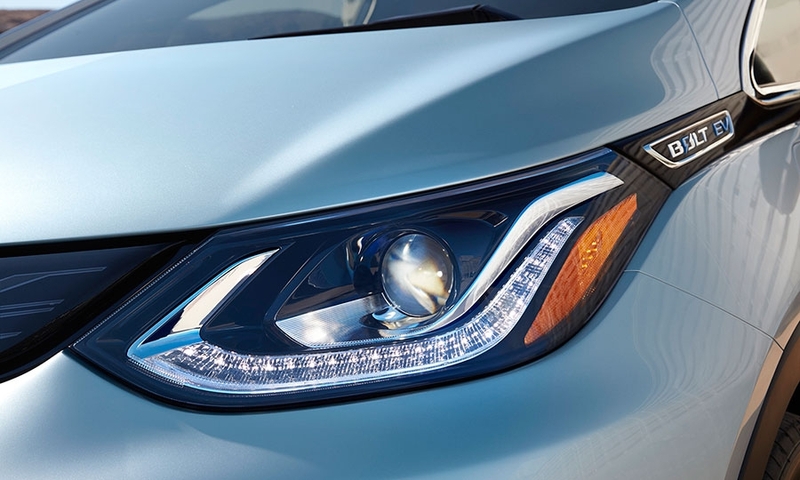 The rearview mirror uses a camera to provide an augmented wide-angle view, a feature also included on the forthcoming Cadillac CT6. 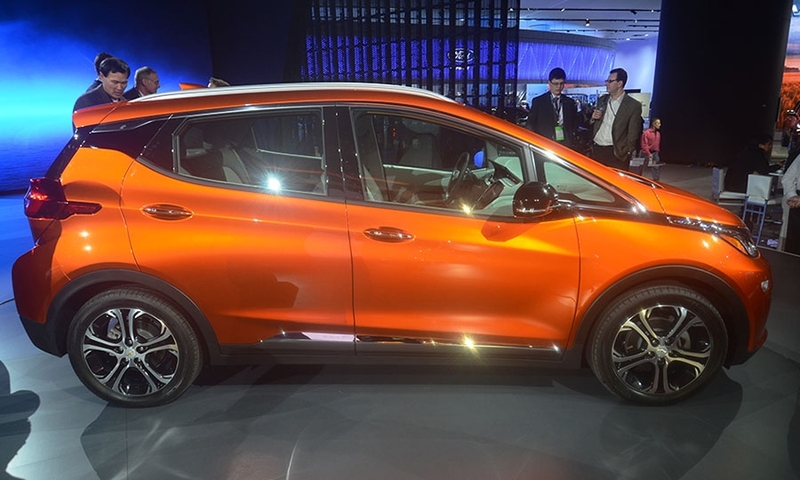 It also includes a 360-degree bird’s eye view of the car’s surroundings. 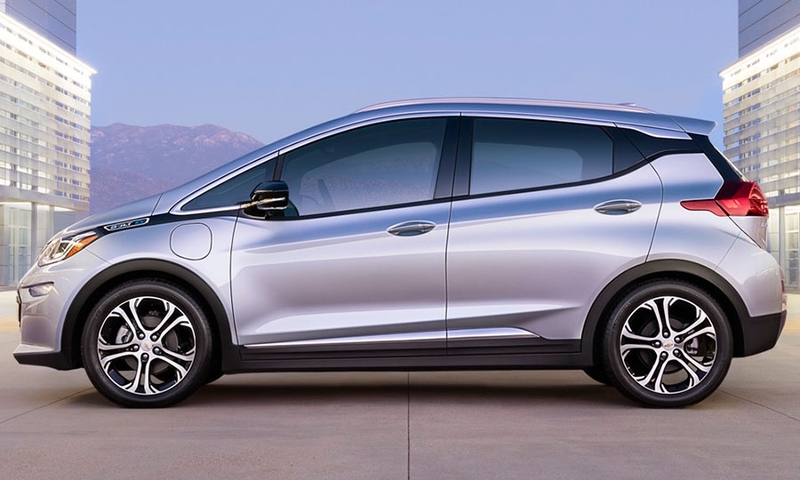 GM is withholding some details of the Bolt for next week’s auto show in Detroit, such as horsepower and torque ratings. 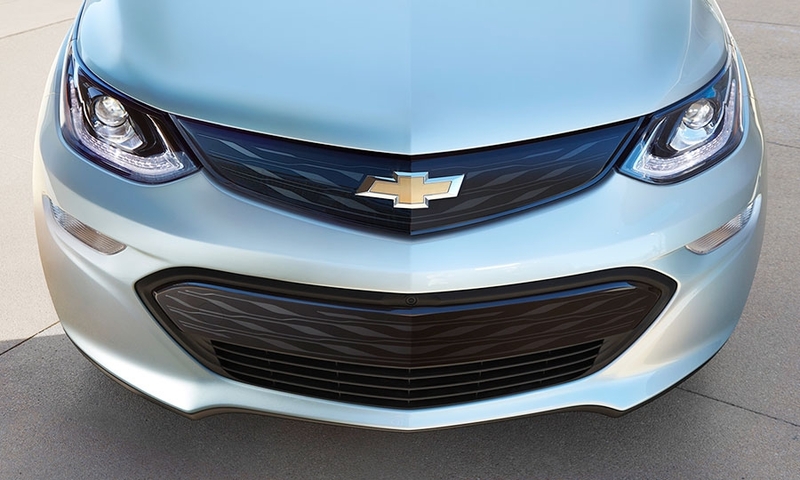 Engineers said it will cover 0 to 60 mph in less than 7 seconds. 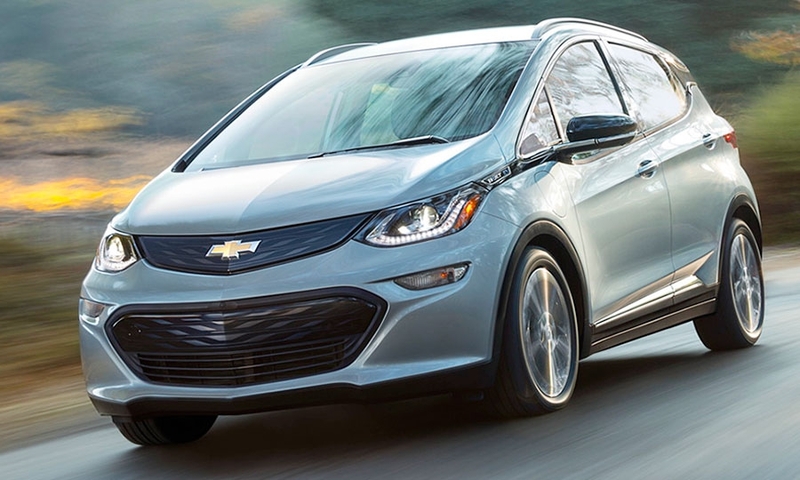 Chevy officials were so eager to have the automotive press experience the Bolt that they offered short test drives to journalists here -- a rarity for a car that’s almost a year from its on-sale date.